Born and educated in Norwich, Roy attended the Norwich School of Art in the late 1940s studying Architecture. Following three years of National Service, he returned to his studies and qualified as an Associate of the Royal Institute of British Architects in 1959. His career in Architecture ended in 1984 when he retired as Assistant County Architect for Norfolk. Upon retirement, Roy developed his long time hobby of painting into a busy second career. 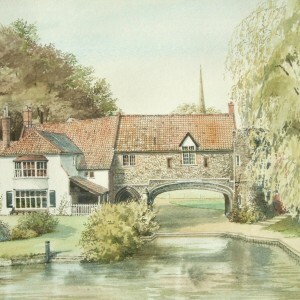 He specialised in watercolours of both countryside and buildings, the latter of which reflected his previous career as an Architect. 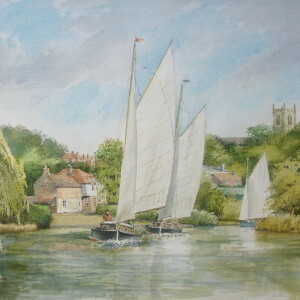 Roy had many successful one-man exhibitions in various parts of Britain and his work is hung in collections both in this country and overseas. Arising from these exhibitions, Roy received many commissions for houses which he painted with a warmth of colour and realistic attention to detail. Roy Haydon died on 13th April 1999.